How Can Microsoft SharePoint Training Improve Your Business? Home > Microsoft Bootcamps > How Can Microsoft SharePoint Training Improve Your Business? Running a business involves a lot of deciding where to invest your time and money. Here is some information on why Sharepoint training is a good investment of both. It’s no secret that creating a team of highly-skilled, highly-trained individuals is a key factor in promoting business growth and development. As a business owner, you pride yourself on offering your clients the best possible service, and the right qualifications and knowledge can help streamline interactions with your customers, leaving them relaxed and confident in the service you provide. In this article, we’ll be unpacking Microsoft SharePoint, learning what it is, and how becoming trained at using it could take your business to the next level. Microsoft SharePoint allows you to upgrade the organization of your business ten-fold. Used to create websites, SharePoint is a secure place that allows you to not only organize but store, share, and most importantly access your important business information from any device, any time. SharePoint is totally customizable, and with development from your team, you can create a tailor-made interface which is ideal for the USP of your business. Of course, even at its factory settings, SharePoint offers incredible business management options, but with your own personal tweaks you can create a platform that offers immediate access to the specific tools that your staff need to complete their jobs effectively and efficiently. Microsoft SharePoint allows you to amalgamate all the sites associated with your business under one platform. This not only streamlines your interface, allowing your staff to access what they need all in one place, but it reduces your financial outlay through the consolidation of intranet, internet and extranet sites. If your business is small, or beginning its growth journey, the potential for large financial savings can be a complete game-changer. Because it offers access from any device, SharePoint is ideal for encouraging staff-to-staff collaboration. The all-in-one platform you can create for your business allows your team members to coordinate efficiently. Staff members are also able to communicate and work together to solve any problem that may arise in a swift manner, conducive to positive client feedback. Not only does this keep your business at the top of its game, but it also raises staff morale and confidence, as by working together through problem-solving tasks your team members are able to build each other up, thus creating an empowered and confident workforce. With SharePoint training you will be able to quickly and efficiently solve problems within your business’ digital infrastructure, as and when required, without needing to hire a costly developer. SharePoint has a whole host of programs available for almost every eventuality you could think of. With a plethora of functions included, SharePoint allows you to consolidate many of your existing processes, saving you both time and money. 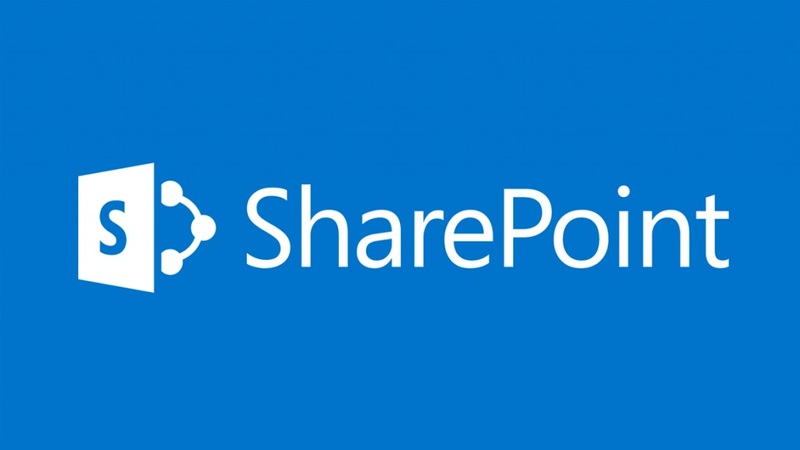 Microsoft SharePoint is ready to help your business however you need and whenever you need it. If you have decided that implementing Microsoft SharePoint within your business is the next step forward for you, the next consideration you need to make is how best to train your chosen staff member(s). If the individual in question is very computer literate, it may be possible for them to teach themselves via online tutorials or figuring things out reflexively as they work. However, if this isn’t the case, or you are keen to ensure full training and understanding to best glean maximum results from SharePoints’ innovative software, then there are a range of course options which will have you coordinating like a pro in no time. There are two main versions of SharePoint, the 2013 edition and the 2016 edition. Depending on your type of company and the infrastructure you already have in place, will reflect which edition is best for you. The 2013 edition works best with older systems and has less features and functions than the 2016 edition. This makes it ideal for small family businesses or businesses where technology is not the primary focus. The 2016 edition works seamlessly with Windows 365 and has extra features ideal for social-media era companies. There are many course options available for both the 2013 and 2016 editions of Microsoft SharePoint. Depending on your location and needs you can select from both online and on-campus courses. If you select to take part in an on-campus course, then there are a variety of plans available, including complete package deals which cover the course, accommodation and flights, creating a no-stress solution to training. The courses, commonly referred to as ‘bootcamps’, only take 6-days, allowing you to make the upgrade to a Sharepoint integrated company quickly and easily. Bootcamps are available each month, allowing you to make your decision all year round. Microsoft SharePoint incorporates many of the skills you need to take your business to the next level. SharePoint enables you to streamline your customer service, build confidence and collaboration between your staff, and keep on top of all your businesses organization needs. With a variety of training options, starting your Sharepoint journey is quick and easy, allowing you to reap its many benefits within a short timeframe.